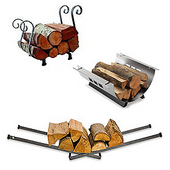 Create a cozy space for friends and family to gather with indoor fireplaces, fireplace accessories, tools and hearths. 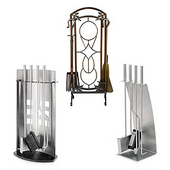 We offer a variety of accessories for your fireplace from top manufacturers like Uniflame, Blomus, Enclume, Stainless Craft, and Steel Worx. Indoor electric fireplaces plug into any wall outlet, while ethanol fireplaces use fuel to provide warmth and atmosphere. 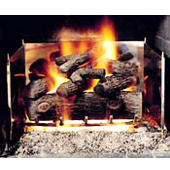 Neither type of fireplace requires a chimney or flue. 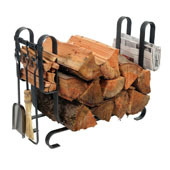 Accessorize your hearth area with a fireplace screen, a fireplace tool set and a log holder or rack. Practical and attractive, these fireplace accoutrements are available in a wide range of styles and finishes to suit any decorating theme. 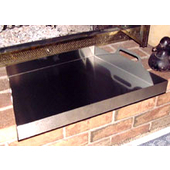 Recessed fireplace tool cabinets store your broom, poker, tongs and shovel and keep your floor space open for other things. 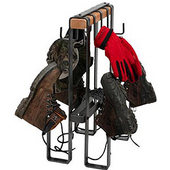 These fireplace tools create a comfortable and organize feeling in your home or office with their ability to be hung anywhere. 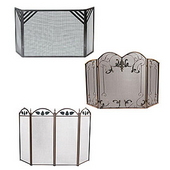 Fireplace screens are available as well, to cover your hearth when not in use.